In the hot summer our customers read a lot books. While some were old publications, some were 2017 books. From politics, to finance, to biography, to self improvement, to history, etc, the top loans are as diverse as our collection. 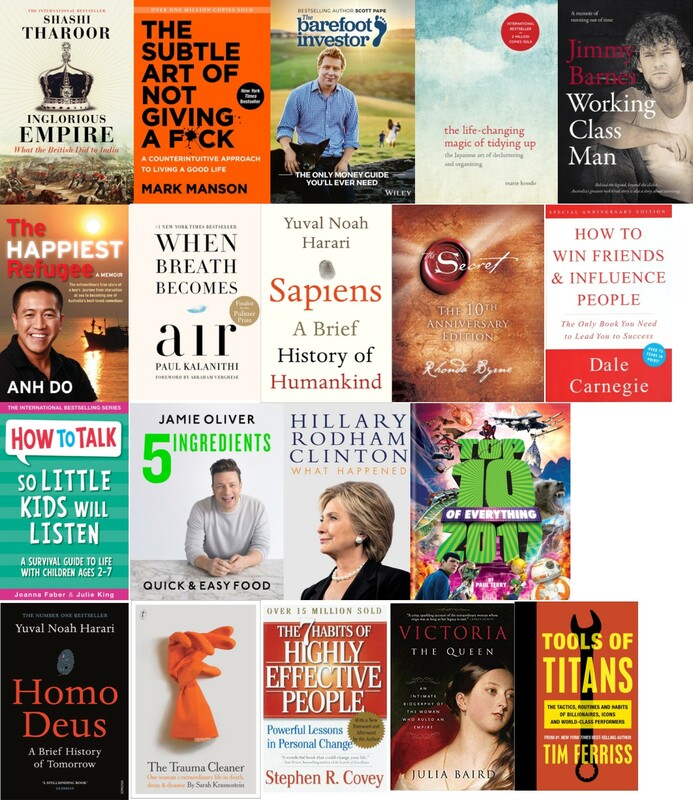 This entry was posted in Non Fiction and tagged City of Parramatta Libraries, Most popular Non Fiction Reads in Summer by admin. Bookmark the permalink.